Consider the following, drawn from the 2013 data of the National Crime Records Bureau: Of the 968,728 undertrials under IPC 498A, 17,542 (only 1.8%) persons were convicted. Who returns the life lost in litigation to the remaining 98.2%? Of the 222,091 arrested under IPC 498A, only 7.9% were convicted. Will the life of the 92.1% falsely arrested remain the same? Husband suicides (64,098) are more than twice that of wife suicides (29,491) over the last 20 years. Family issues, and not financial troubles, were the major reason. In a recent judgment, the apex court in Arnesh Kumar vs State of Bihar emphasised following the Procedure of CrPC 41A since Section IPC 498A is being used as a weapon by disgruntled wives. The court based its judgment on the NCRB data and reiterated the need for action against police officers not adhering to the CrPC 41A procedure. Even now such arrests happen without investigations or due procedure. Women’s organisations are contesting the court judgment in the court of public opinion. Misuse clauses can be put in 498a or other sections, however the reality is that clauses to punish false complaints, false evidence, lying on oath (perjury under CrPC 340), wrongful prosecution by police already exist in IPC etc BUT they are never utilized in the sense that magistrates or police do not use them as a matter of routine. Maybe because judges love to see a queue of 50-90 cases in cause list everyday! Why punish any false complainant because maybe then only 30 cases will show up in the cause list! The answer to this rampant problem lies in making sound and mandatory procedures regarding registration of marriages, filing of the list of stridhan in the court, agreeing to the amount of settlement something similar to the Mehar in muslim community if the couple decide to part their ways for any reason. 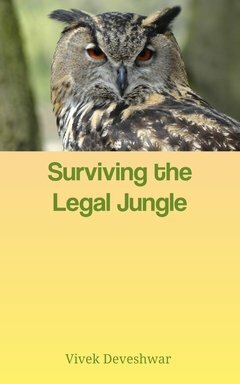 A comprehensive law dealing with family disputes which allows for a summary trial for criminal and civil aspects of the case in one court instead of multiple trials in various courts and various suits. For both men and women, the law and its procedure should become conducive to meet the ends of justice. I strongly believe that whatever value a couple creates should be accepted as the common value and divided 50-50 at the time of separation whatever be the cause. Men can not earn if the women do not support at home in case of home maker wives. So the wives should either be given a monthly salary or 50% stake in everything that the husband earns and vice versa for the husband as well. Children custody should be made a shared responsibility and no one parent should have exclusive rights or responsibilities. Any criminal act should be treated gender neutral and the culprit be punished. All disputes should be tried and settled in a time bound manner within two years and the appeal should lie only in a bench at HC and then in SC with permission in exceptional circumstances. Once the separation is granted by the trial court, HC and SC should only adjuducate on the compensation and the quantum of punishment if any, only and not on the merit warranting separation since it is an irreversible process. Families do not come together once they enter the courtrooms. There should be no compounding by mutual agreement. The time spent together, earnings of both, number of children and who is willing to take primary responsibility of the children should also be a factor in determining compensation.